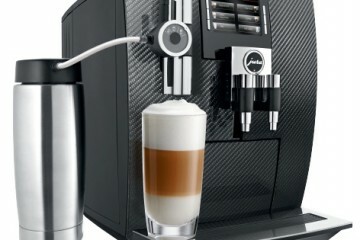 1st in Coffee proudly introduces the Jura J95 Carbon. It’s the first Jura automatic coffee machine to incorporate a stunning hand finished carbon front panel. This is the same finish used to detail high-end German sports cars. The J95 also features a wide color display that combines graphics and text.